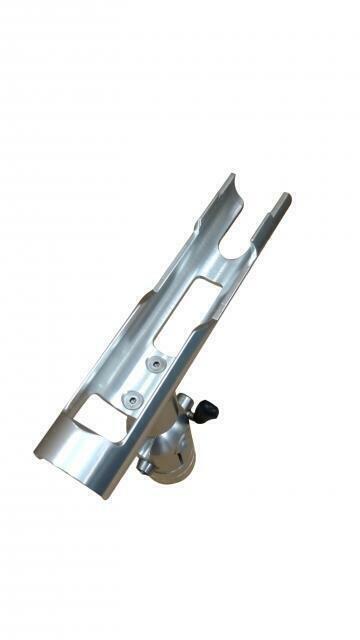 This 42° Dual Sport Trac Mount is designed for anglers looking to mount heavy/tall equipment to their boat. By bridging (2) of our sport trac Lund mounts together with our Sure-Stop Track, the torque transfers much more evenly across the gunnel. This eliminates the typical "flexing" you may find when using high speed downriggers or vertical tree masts. This system is available in various lengths to cover additional area along the gunnel. Any of your new or existing track mounted equipment will slide into the Sure-Stop track. This makes securing or removing equipment from your boat easy and quick. 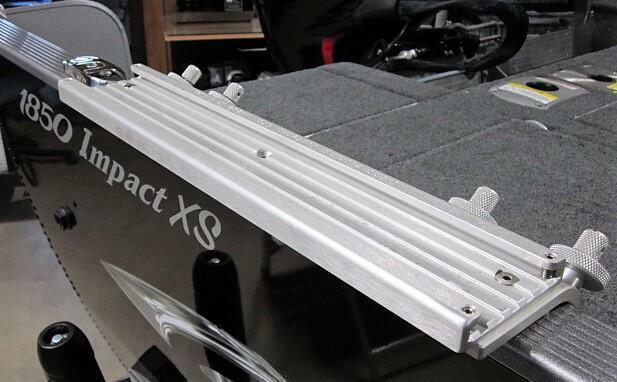 If preferred this system stay secured to the boat and your cover will still easily fit over the mounts. Click on the drop menu below for different size mounting options and pricing. 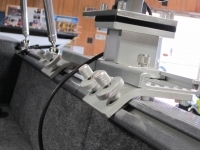 This Down East Salty Clamp-On Block is designed to fit the S-10 Series rod holder. This adapter block is capable to securing to any of our mounting systems available (not just on Lund mounts as shown in the pictures). Check out what options may work best for you and if you have any questions on how to rig this to your boat feel free to contact us! The Patriot cradle is one of our most universal rod holders and is designed to accept a wide variety of different style fishing rods. For anglers who fish for different species this holder will accept your trolling rods, line counters, baitcasters. spinning rods, and fly rods. 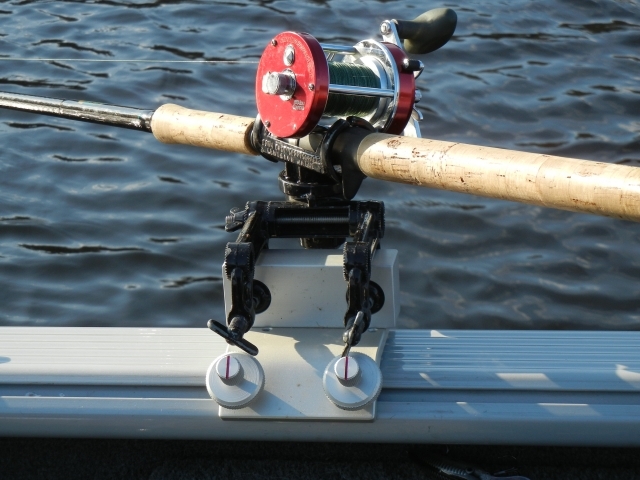 There are many different locations to rest your reel, and the various slots allow for rods with triggers to be positioned without interference. 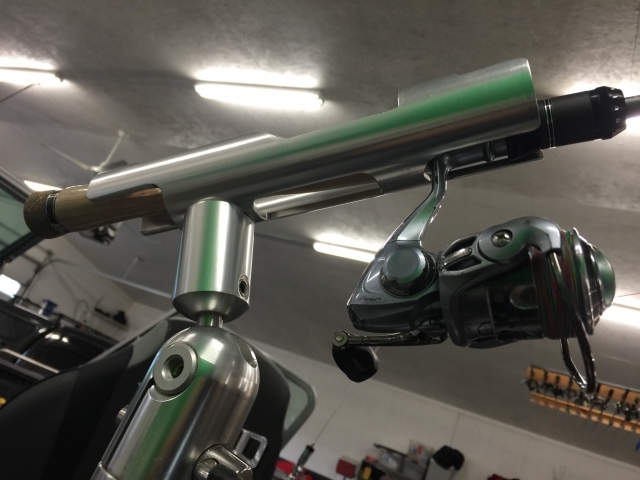 For anything from drifting, bottom bouncing to trolling this rod holder is a solid bet! 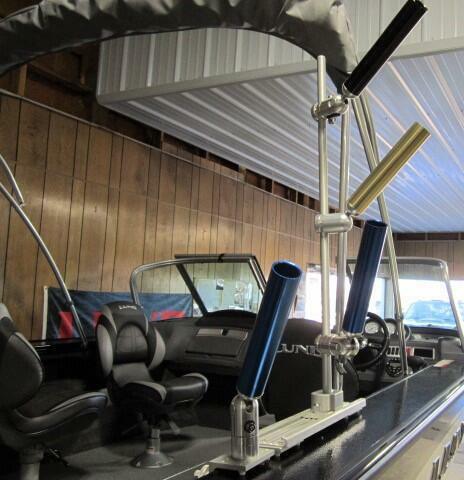 This planer mast unit is perfect for individuals who would like to rig their boat in their own unique setup. The mast is solid aluminum and is compact enough for you to place in various locations on your boat. The unit comes with mounting plate, backing plate, solid collar and swivel pulley. Unit is capable for use with our single/double electric reels. Let us know what setup would work best for you or contact your local dealer for pricing! Cisco pulley’s are constructed with solid aluminum side plates, hard anodized aluminum sheave, stainless steel ball bearings, and bolted together with stainless steel hardware. We manufacture quality products built for a lifetime of use! The sheave is recessed to prevent the line from being captured between the side plate and sheave. The 12/0 swivel is rated by the manufacturer at 1500 lbs (this swivel is constructed in the USA). Unlike our competitors you will not find a single piece of plastic on our pulleys! This is also why our pulleys do not make any squealing sounds when in use. The stainless steel bearings provide a smooth and silent operation like no other pulley available! For anglers that have an existing planer board mast on their boat (manual or electric) but want to upgrade their retrieval system this unit is perfect for you. Our dual electric conversion kit will allow you to remove your existing retrieval setup and replace it with a powerful Cisco kit. 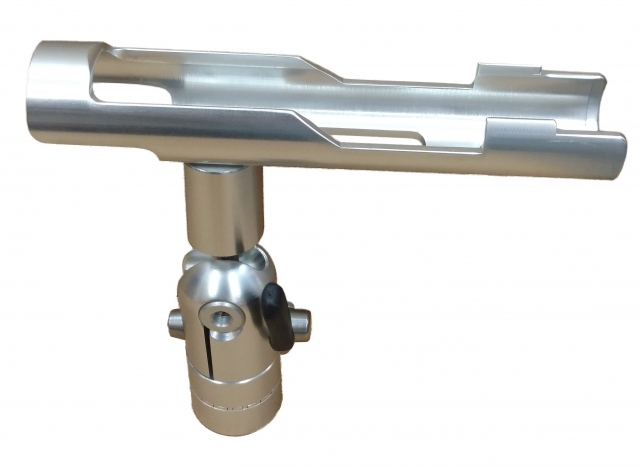 This unit comes standard with rail clamps that will fit on any planer board mast that is 7/8" to 1-1/2" diameter (larger clamps are available upon request). This kit works great to upgrade reels on your Big Jon, Bert's, Traxstech and other popular mast systems. The electric planer board reels are manufactured using precision CNC equipment from billet aluminum, stainless steel and bronze clutch components for a LIFETIME of use. The electric motor is the strongest available on the market making the retreival of your planer boards occur in a smooth consistent manner. 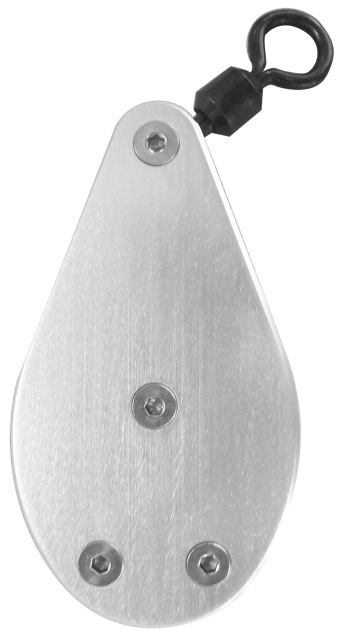 Our mounting plate is extremely user versatile making it fit onto virtually any surface. 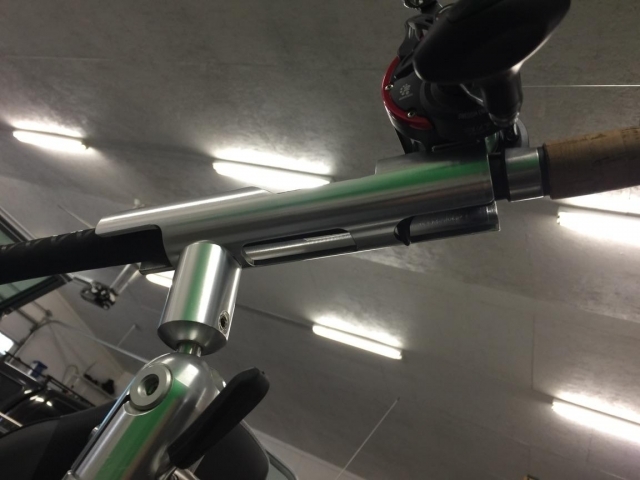 The mounting plate comes with 14 tapped hole locations for the universal mounting clamps to secure to and can be mounted to both the front and the back of the plate. The line guide can also be adjusted to a wide variety of angles to suit individual needs. Our electric planer drive reels are centered around a 7/16” stainless steel driveshaft and include a 6” solid aluminum reel, variable clutch, aluminum clutch knob, high torque electric motor (modified output shaft), universal mounting bracket and line guide (both easily adjustable in 12 different positions for ultimate versatility), and vee clamps capable of mounting from 7/8” to 1½” diameter rail (larger clamps are also available upon request). For customers looking to mount this equipment to larger diamater rails we have larger vee clamps available upon request. 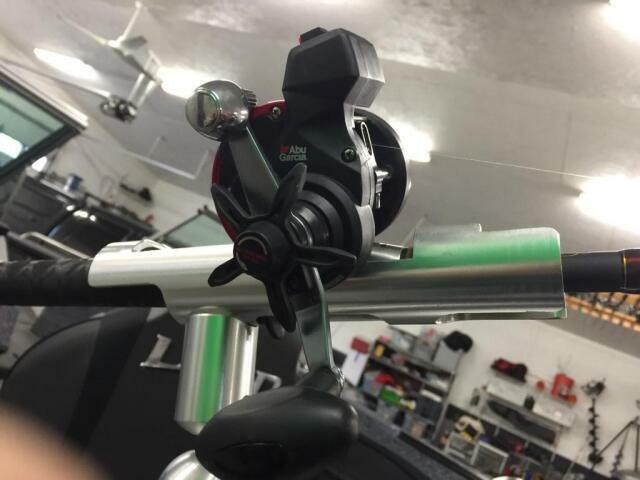 12 Volt Motor Specs: Our solid aluminum 6” reels are powered by motors which are engineered and manufactured in the USA; these motors have 4 times more torque than our competitors making it possible to retrieve any size planer board at any trolling speed. Additionally, we seal our motors through an extensive weatherproofing process to ensure a long lasting life of the motor. Our new motors have two times more torque than our previous motor for a grand total of 80lbs/in. per revolution! We dare you to compare us to other manufacturers specs! Specs for Reel and Clutch Components: The 6” reels come with a 7/16” stainless steel bore to fit the driveshaft. Attached to the shaft is also a heavy duty stainless steel collar which is built for precision adjustments of the clutch (other manufacturers use a thin snap ring which when too much pressure is applied breaks the ring causing the clutch components to rub against the motor housing, thus destroying the unit). Our clutch components use a hard anodize pressure plate and 660 bronze machined clutch pads for virtually no wear on the unit even after years of constant abuse. The clutch knob is also solid aluminum, and unlike plastic knobs, will neither break nor need replaced each season. This planer mast is able is break into two separate 3' sections allowing easy and safe storage of the mast when trailering or when having to quickly clear an obstacle. This detachable kit includes the knurled threaded knobs which secure into a recess hole in the planer mast pole. This ensures no imperfections are made in the aluminum to allow consistently smooth movement when securing and detaching the two mast poles together. A separate mounting base is also included which holds one section of the 3' mast when the two pieces are separated. Our design allows you to break down the mast without removing or tangling any planer mast board line! The planer mast includes 6” solid aluminum reels, line guides, variable clutches, aluminum clutch knobs, high torque electric motors with modified output shafts, aluminum cased pulleys, removable base, mounting plate, backing plate, knurled thumbscrews and a separate mounting plate and collar. 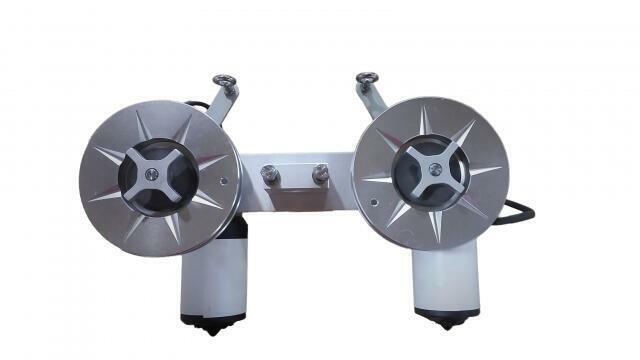 12 Volt Motor Specs: Our solid aluminum 6” reels are powered by motors which are engineered and manufactured in the USA; these motors have 2½ times more torque than our competitors making it possible to retrieve any size planer board at any trolling speed. Attached to the shaft is a heavy duty stainless steel collar which is built for precision adjustments of the clutch (other manufacturers use a thin snap ring which when too much pressure is applied breaks the ring causing the clutch components to rub against the motor housing, thus destroying the unit). Additionally, we seal our motors through an extensive weatherproofing process to ensure a long lasting life of the motor. Specs for Reel and Clutch Components: The 6” reel comes with a 7/16” stainless steel bore to fit the driveshaft. Attached to the shaft is also a heavy duty stainless steel collar which is built for precision adjustments of the clutch (other manufacturers use a thin snap ring which when too much pressure is applied breaks the ring causing the clutch components to rub against the motor housing, thus destroying the unit). Our clutch components use a hard anodize pressure plate and 660 bronze machined clutch pads for virtually no wear on the unit even after years of constant abuse. The clutch knob is also solid aluminum and unlike plastic knobs will neither break nor need replaced each season. Cisco pulley’s are constructed with solid aluminum side plates, hard anodized aluminum sheave, stainless steel ball bearings, and bolted together with stainless steel hardware. We manufacture quality products built for a lifetime of use! The sheave is recessed to prevent the line from being captured between the side plate and sheave. The 12/0 swivel is rated by the manufacturer at 1500 lbs (this swivel is constructed in the USA). Unlike our competitors you will not find a single piece of plastic on our pulleys. This is also why our pulleys do not make any squealing sounds when in use. The stainless steel bearings provide a smooth and silent operation like no other pulley available!